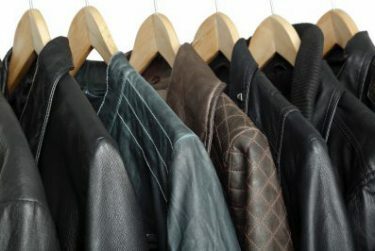 Who Are The Best Leather Cleaners NYC? - Our large corporate clients include Prada, Gucci, Burberry and more! WHICH MANHATTAN CLEANERS CLEAN SUEDE AND LEATHER? Cameo Cleaners are one of the few Manhattan cleaners with specialized expertise to clean both suede and leather and make them good as new. When you need your suede or leather to look and feel as nice as it did the day you bought it, don’t just type “leather cleaners near me” and see who comes up-put your faith in the dry cleaners NYC residents have trusted for over five decades and the leather tailor NYC relies on for all their most coveted leather garments. We are a premiere Manhattan cleaners offering suede and leather cleaning NYC knows it can trust, with services that include cleaning, dyeing, and repairing of rips, tears, torn linings, and broken zippers. We also provide special storage for your expensive suede and leather garments in our environmentally controlled facilities, ensuring they remain fresh and ready whenever you need them. We’re the leather cleaners NYC individuals and organizations come to for all their leather needs, and the suede cleaner NYC fashionistas know can get the job done. Are There Any Suede Cleaners NYC? 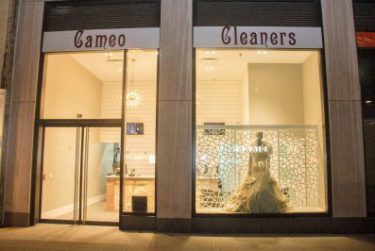 There are tons of suede cleaners in NYC, but Cameo tops the list in service, professionalism, and results. 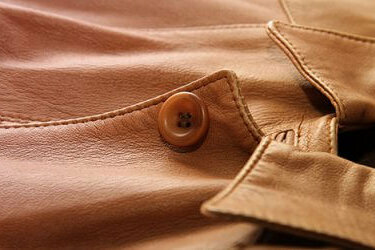 A high-end fabric, suede is known to attract dust, dirt, and elemental damage quickly, and easily. Our restoration specialists are trained in a variety of cleaning and repairing techniques that leave customers satisfied, and returning. From our organic hand washing to our delivery services, we offer a full experience. Which Dry Cleaners Have a Leather Tailor NYC? At Cameo Cleaners, we have dedicated tailors ready to assist you at any location, whether you need on-the-fly alterations at home or wish to tailor your suit while working from the comfort your office. Clients can also schedule an appointment to have their garments altered at our store location. With our unparalleled convenience and tailors who have mastered the art of invisible weaving, Cameo tops the chart for New York City tailors. ” I had an amazing experience with Cameo Cleaners. Someone spilled a dark sauce all over my brand new (first time I wore it) camel suede jacket. I called around to about 4 cleaners and Cameo had the best price. Their customer service was exceptional, their turn around time was half the time that other places had quoted, and yes..... the got the stain out completely. I highly recommend them! ” – Leigh A.